Happy Sunday! 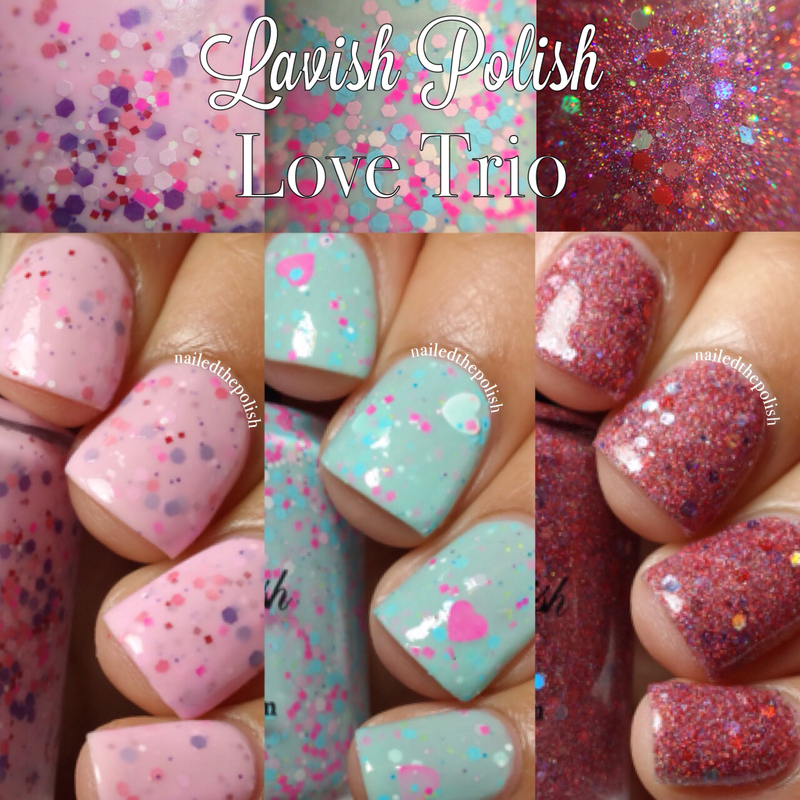 🙂 Today I have for you swatches from Lavish Polish‘s Love Trio which is available now! This adorable collection is consists of two crelly polishes and one micro glitter. They are available for purchase as a complete set or individually. 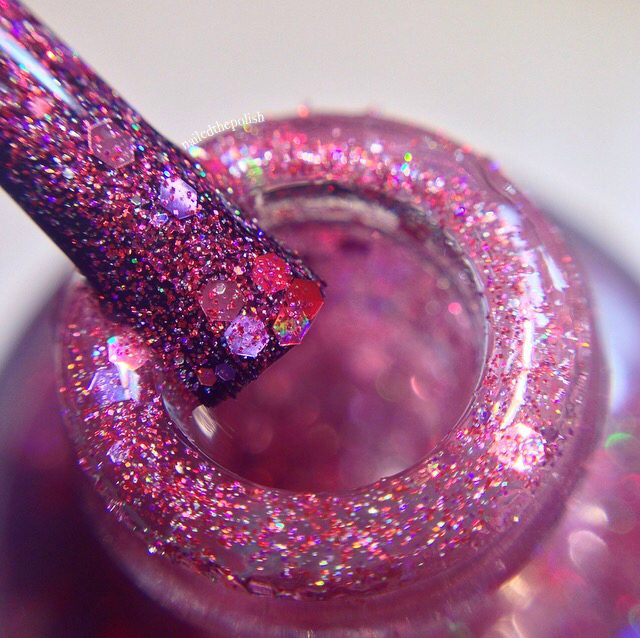 Hugs and Kisses is a light pink crelly polish filled with a mix of pink, purple, red, and white matte glitters. Pictured is two coats with top coat. 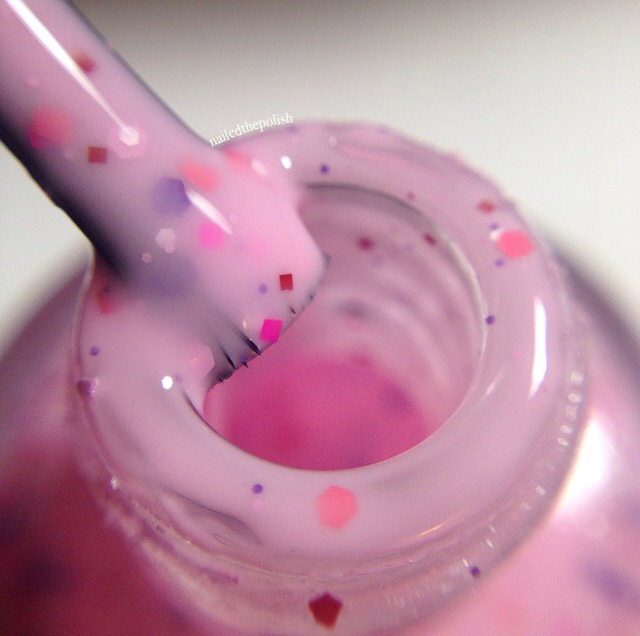 Now, I’m usually not a fan of crelly polishes mainly because the consistency is usually thick and chunky. However, this polish applies very well! There is definitely no shortage in the amount of glitter which is always a plus. Hugs and Kisses is perfect for Valentine’s Day! 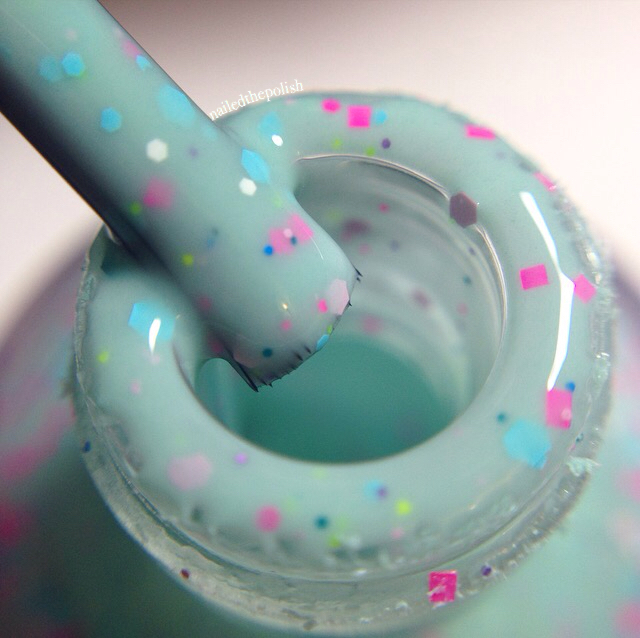 Mint to Be is a mint crelly polish with a variety of blue, green, pink, purple, and white pastel matte glitters along with neon pink and white heart glitters. Shown is two coats, no top coat – also applies very well! I placed the bottle upside down for about 10 – 15 minutes to allow for easy retrieval of the large heart glitters. This polish is just so stinkin’ cute! Light, fun, flirty – another great polish for Valentine’s Day. 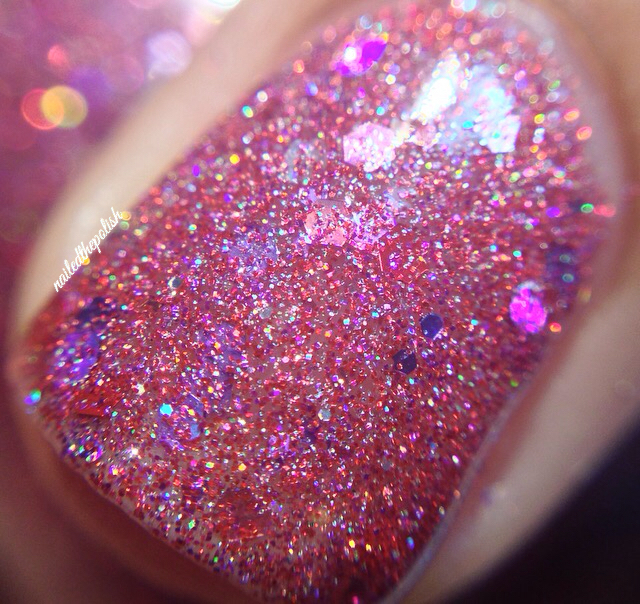 Last up is Love Birds – a deep red holographic micro glitter with pink, purple, red, and silver holographic hex glitters. Pictured is two coats with top coat. I love how full of glitter this polish is! Even though it’s in a clear base, you definitely don’t need a color underneath to achieve full coverage but it can easily become a glitter topper with a very thin coat. I am a sucker for anything holographic and this is no exception. Love, love, LOVE! I really like this trio! It’s got what everyone thinks of when it comes to Valentine’s Day – pink, red, white, and hearts – but it also has non-traditional elements allowing for these polishes to be worn at any time. Individual polishes are $8 and the set is $22. They can be purchased here. You can also keep up with Lavish Polish via Instagram or Facebook.